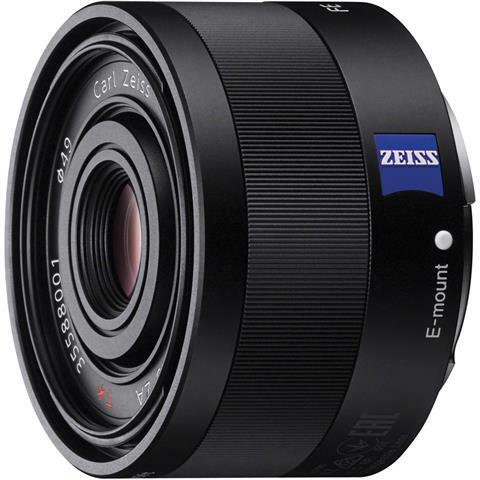 The Sony Sonnar T* FE 35mm f/2.8 ZA Lens is a prime, wide-angle lens that features a fast, bright f/2.8 maximum aperture to support enhanced low-light performance and greater control over focus for shallow depth of field and selective focus imagery. Three double-sided aspherical elements, totalling six aspherical surfaces, work to minimise spherical aberrations and contribute to notable image sharpness. A Carl Zeiss T* anti-reflective coating has also been applied to lens elements to reduce lens flare and ghosting for improved contrast and color fidelity. an internal focusing mechanism maintains the overall lens size during focusing and aids in faster, more responsive performance. Additionally, a dust- and moisture-resistant construction ensures this lens' use in tough environmental conditions.